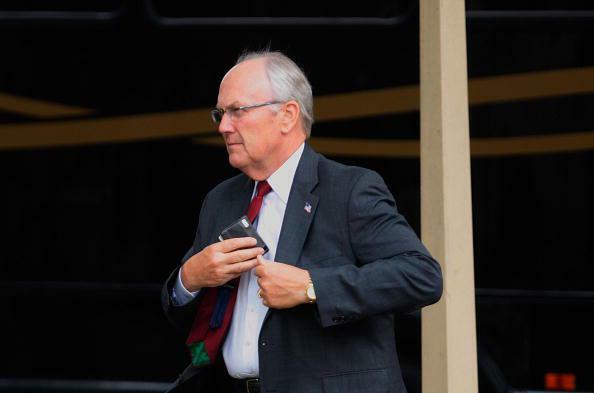 Larry Craig campaign funds ruling: Ex-Idaho senator owes government. “Craig incurred the legal costs after seeking to withdraw his guilty plea to one count of disorderly conduct at the airport during a layover from a return flight to Washington from his home,” the Washington Post writes. The senator was arrested in June of 2007 and pleaded guilty on Aug. 8, 2007—but news of the incident didn’t become public until Roll Call reported it on Aug. 27, 2007, after which the Craig attempted unsuccessfully to withdraw his plea. Correction, Oct. 1, 2014: This post originally misstated that Larry Craig was a senator from Montana.